Ever since Scholastic Press released The False Prince, I was immediately intrigued by the book's author, Jennifer A. Nielsen. I searched around for her and discovered it was among her first novels (along with Elliot's Underworld Chronicles). From then on I started to have a great love for JAN, as I now try to abbreviate her name, and so I promoted her to my friends and on this blog many times. My first though of her first novel is that it is fairly like game of Thrones, especially written for children. And if you have seen the US covers of the GOT series, then you might also notice the similarities with that of JAN's US book covers. Come The Runaway King and The Shadow Throne and I was sold, my fate has been sealed. Jennifer A. Nielsen has just solidified her place among great children's story writers and more. Hungry for more I looked into her blog regularly, commenting every time I found something new interesting and implying I'd like to join her contests, but I can't since I am from the Philippines. I was just happy enough when she announced she's coming back with a new series, Praetor War, with the first book titled Mark of the Thief and slated for Feb 24, 2015. Going away from the fantastical, but not from the historical, fans may be in for another satisfying treat with her upcoming new novel, A Night Divided. The author has shared with us the official cover and on her blog she is also running a contest for a chance to win one of a few Mark of the Thief ARCS. Check out the haunting, new cover of A Night Divided by Jennifer A. Nielsen. From NYT bestselling author Jennifer A. Nielsen comes a stunning thriller about a girl who must escape to freedom after the Berlin Wall divides her family between east and west. 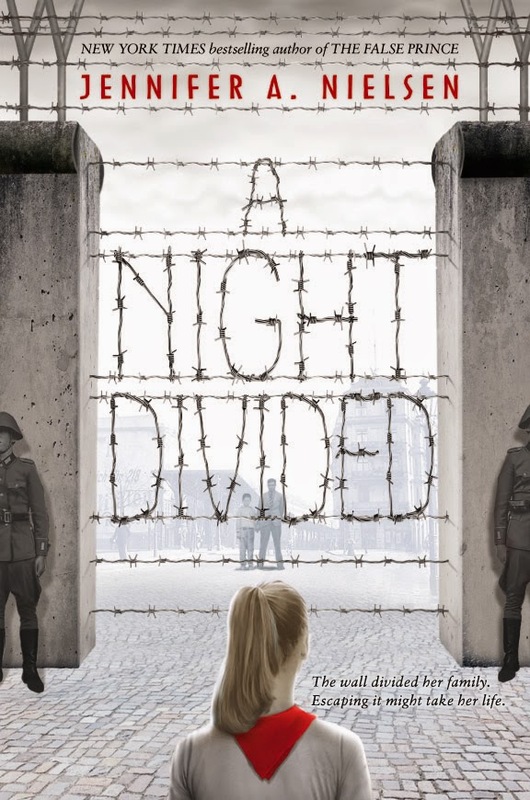 A Night Divided by Jennifer A. Nielsen will be released on August 25, 2015.